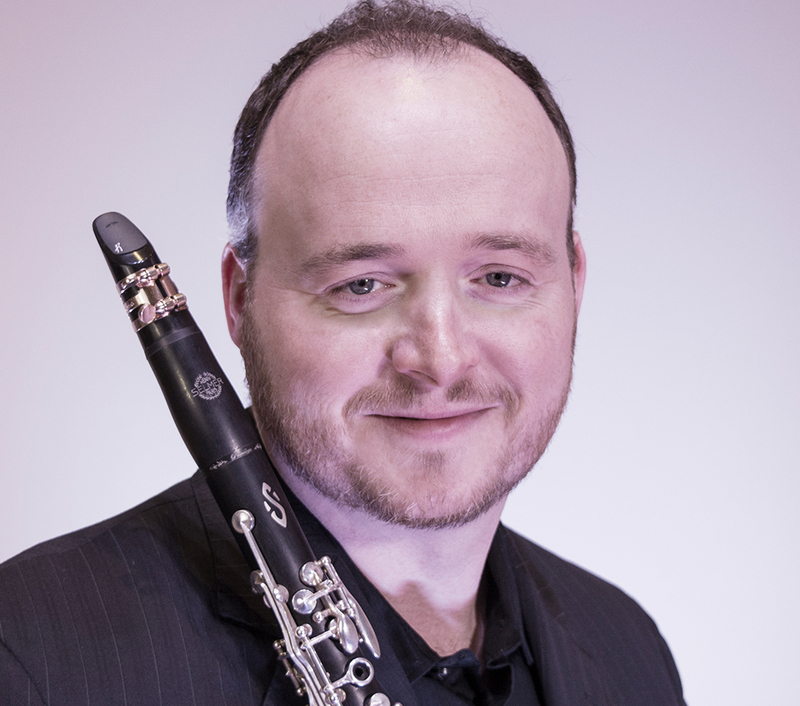 British born clarinetist Jonathan Holden is Assistant Professor of Clarinet at Florida State University and Principal Clarinetist of the West Michigan Symphony. He is a founding member of several chamber ensembles including the Vireo Ensemble (clarinet, violin, cello, piano) and the Argot Trio (clarinet, violin, piano). Holden is sought as an orchestral clarinetist, having performed frequently with groups such as the Sarasota Orchestra, the Louisiana and Fort Wayne Philharmonic orchestras, and the Grand Rapids, Kalamazoo, Mississippi, Baton Rouge and Mobile symphony orchestras. He spends his summers teaching at the New England Music Camp in Maine. Holden made his concert debut at the age of seventeen and has performed concertos in Britain, the United States and Israel. As a student, he was winner of the Clarinet & Saxophone Society of Great Britain Competition and a semi-finalist in the Carl Nielsen International Clarinet Competition. He has appeared as a guest of the Ciompi and Voxare string quartets and has performed by invitation of the British Clarinet Congress, College Music Society, Oklahoma Clarinet Symposium, International Clarinet Association, Festival Contempoaneo (Brazil), Affetti Music Festival (AK) and Alfredo de Saint Malo Festival (Panama). Holden has featured in chamber music series’ such as Chamber Music Wilmington, The Block, Festival South, the Chamber Music Festival of Saugatuck and the American Music Festival. He has given performances, clinics and master classes at colleges in the US and overseas including Vanderbilt University, Michigan State University, Northwestern University, the national conservatories of Panama and Paris, and the universities of Memphis, Florida, Oklahoma, Montana, North Carolina (Greensboro), Alabama (Tuscaloosa), Tennessee, Texas and Rio de Janeiro. A proponent of new music, Holden has performed works for composers Bright Sheng, Peter Sculthorpe and Judith Zaimont. His work with the Argot Trio has yielded seven new chamber works inspired by the birthplace of America’s Music. The trio is featured on a CD of chamber music by Steven Holochwost (Albany), and Holden is heard on a recording of William Bergsma’s septet ‘Changes for Seven’ (Centaur). His recording of British clarinet and piano music will be released in 2016. Jonathan Holden received his Doctor of Musical Arts degree from Michigan State University where he studied with eminent clarinetist and pedagogue Dr. Verdehr. He received his BM and MM performance degrees from the Guildhall School of Music & Drama under Joy Farrall, Andrew Webster and celebrated recording artist Dame Thea King. Jonathan Holden is a D’Addario Performing Artist and a Conn-Selmer Endorsing Artist.